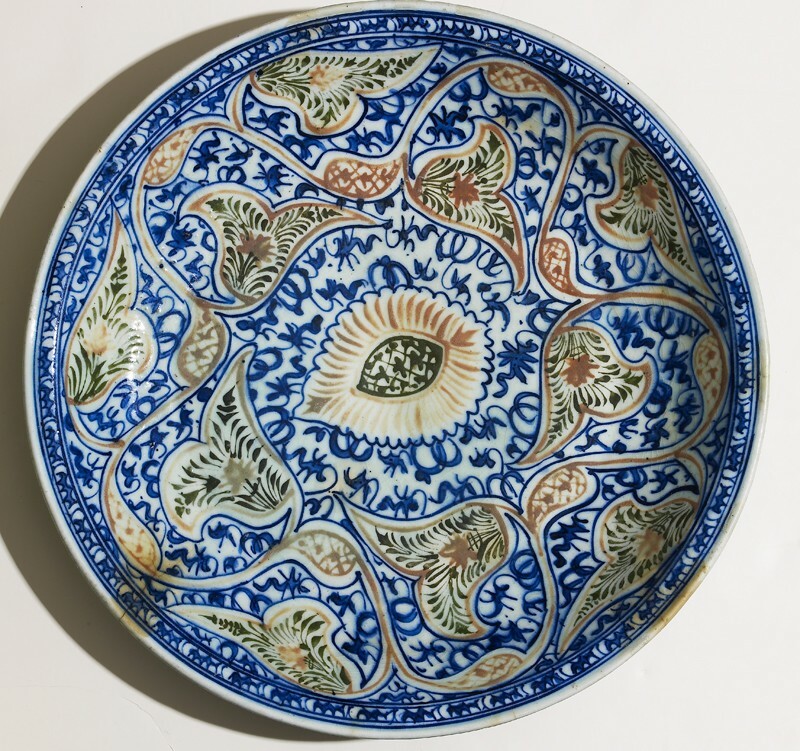 The 1600s saw a boom in the production of ceramics to supply the burgeoning Iranian cities made rich on manufacturing and trade. 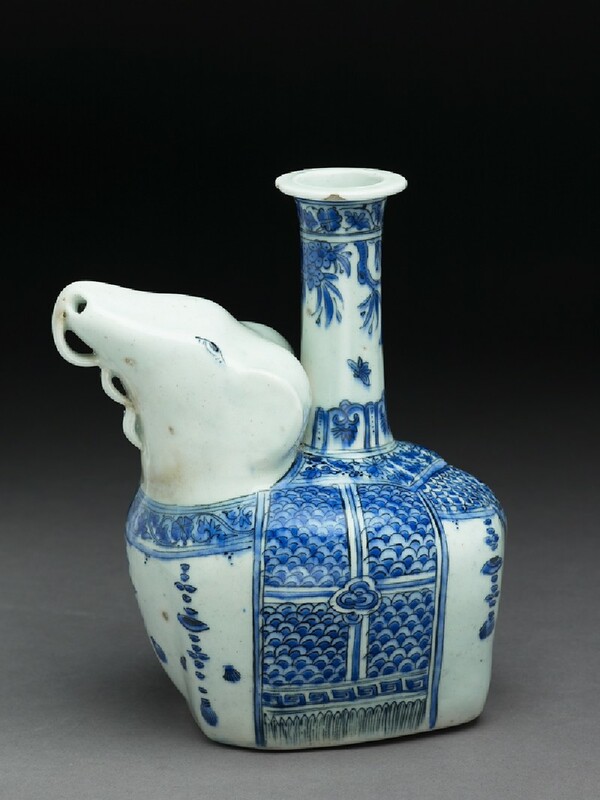 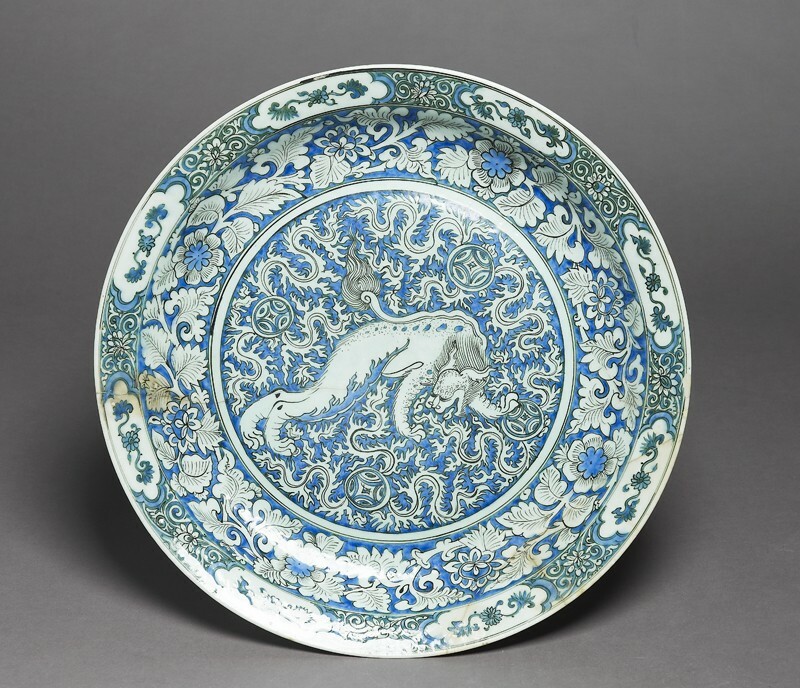 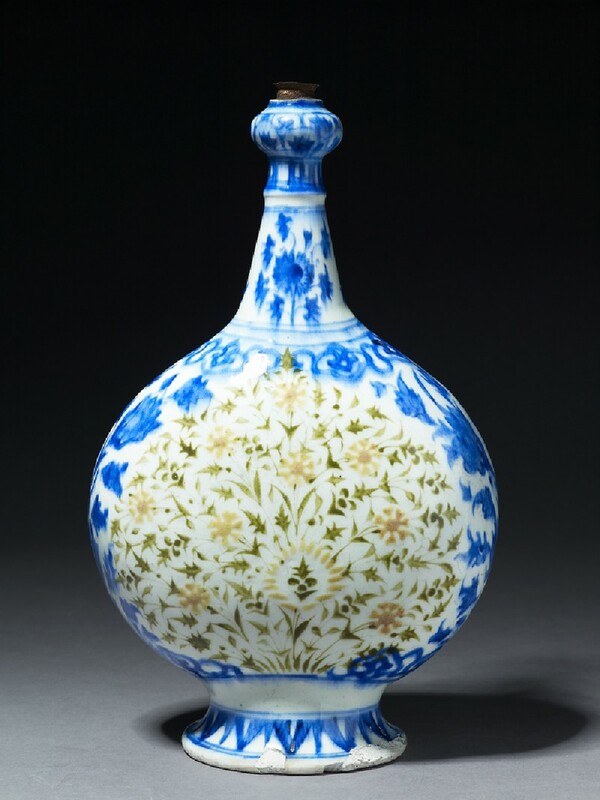 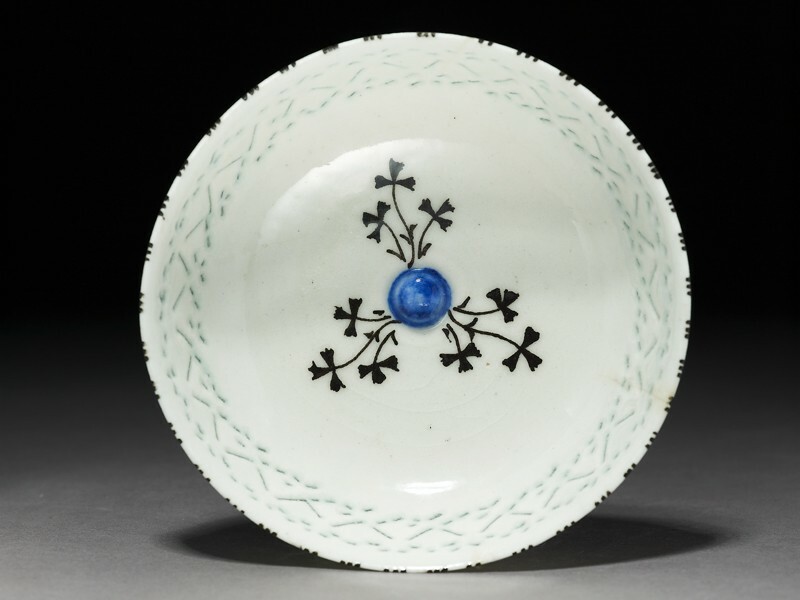 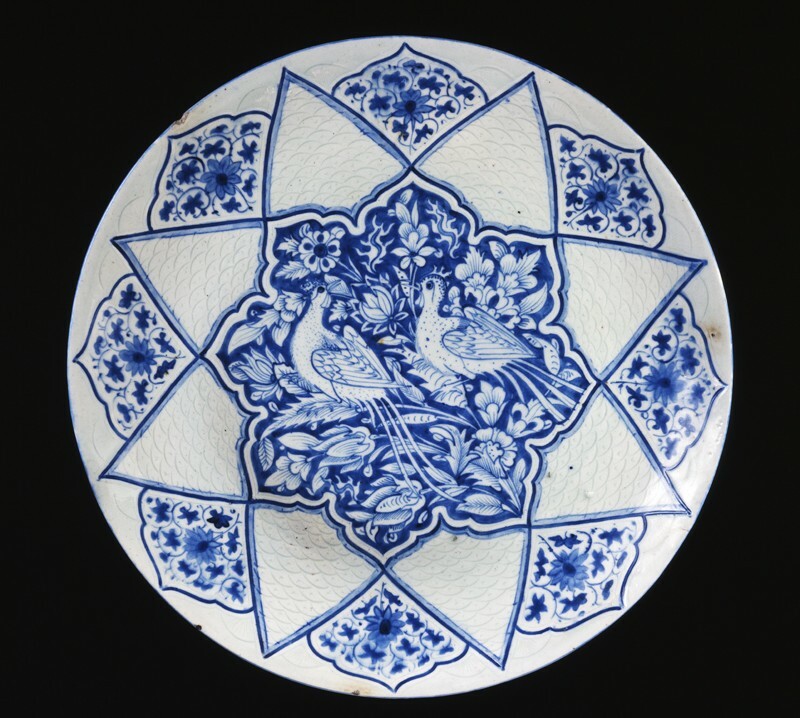 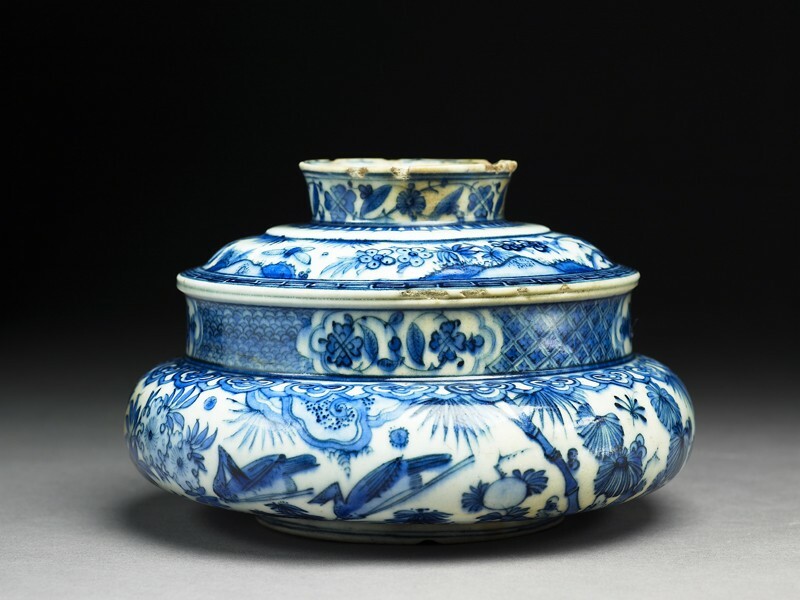 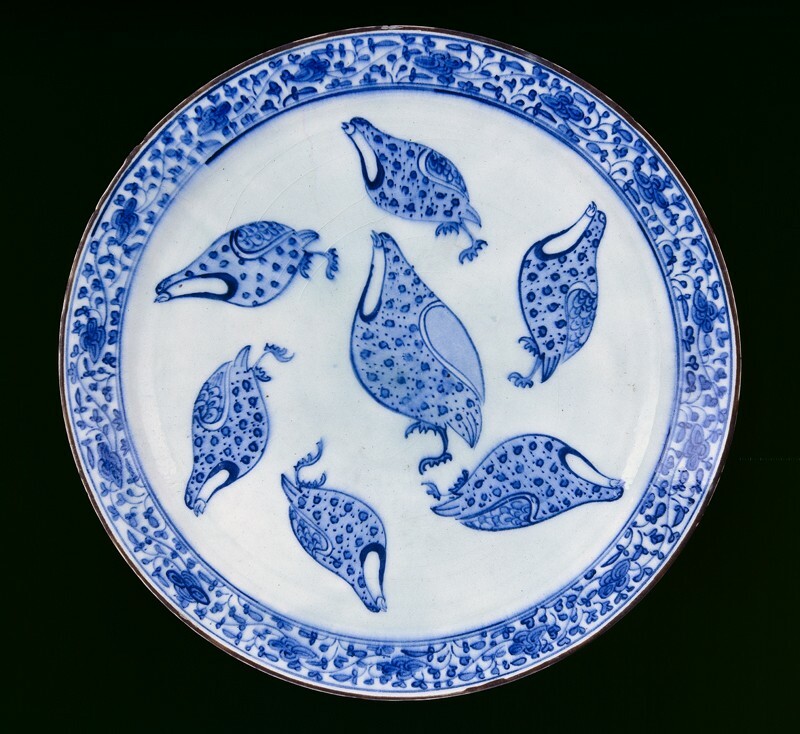 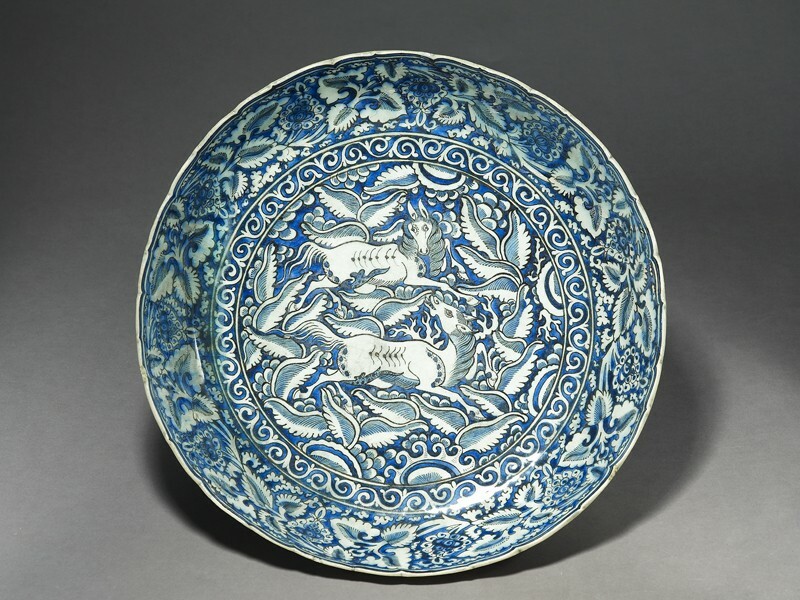 Chinese porcelain remained highly fashionable and continued to inspire the Islamic potters to the manufacture of fine blue-and-white pieces. 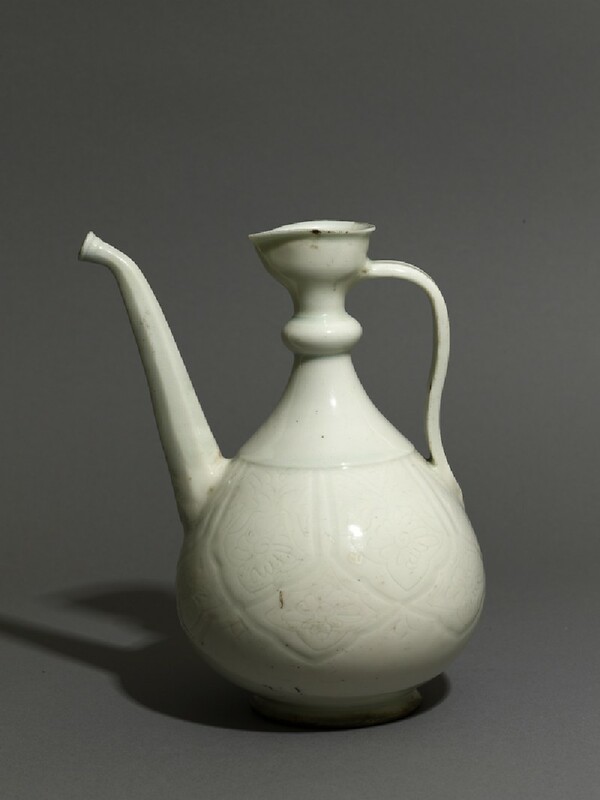 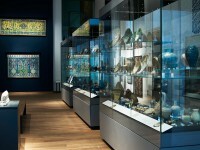 However, other wares produced in this period break away from the Chinese model and use fully Islamic techniques and patterns. 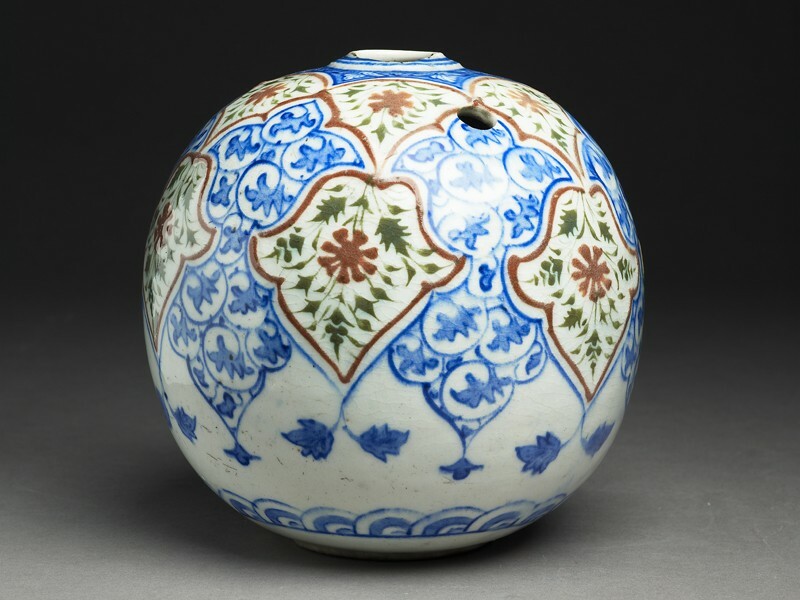 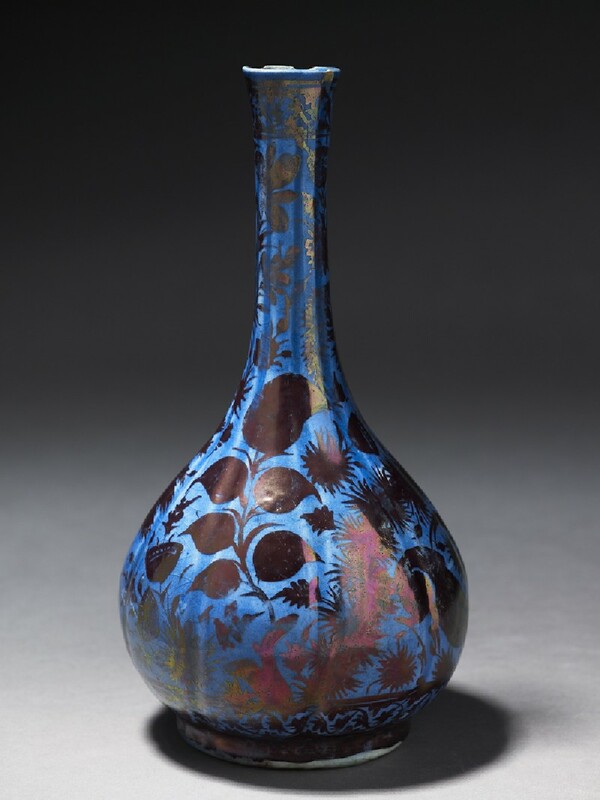 Lustre painting enjoyed renewed popularity after three centuries of decline, while carved and moulded vessels continued to be made alongside underglaze and slip-painted wares. 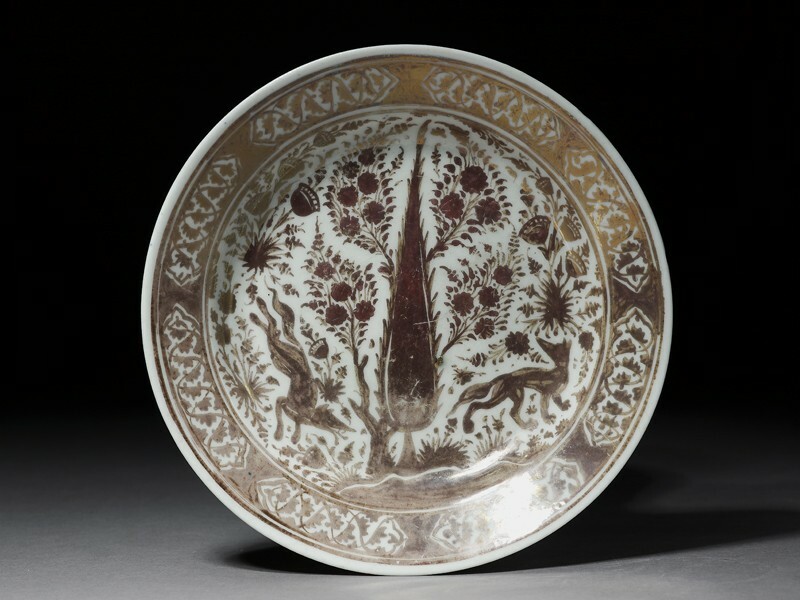 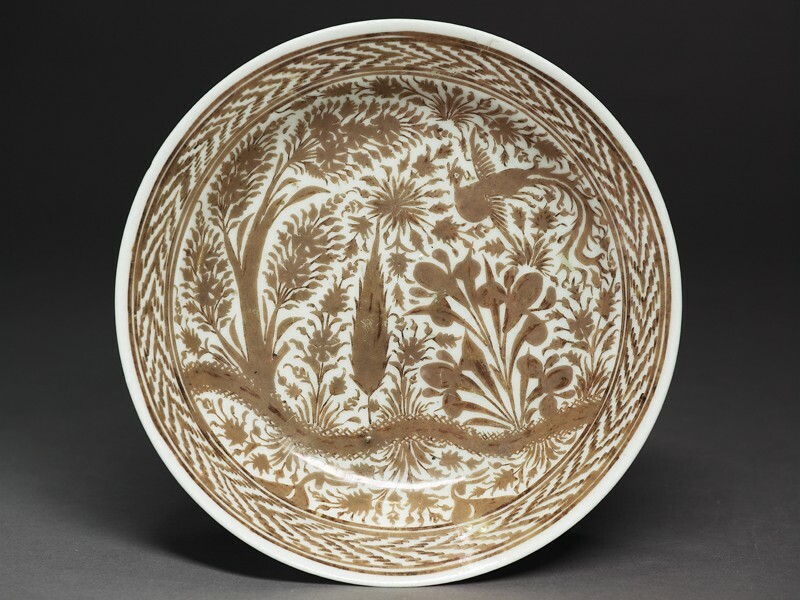 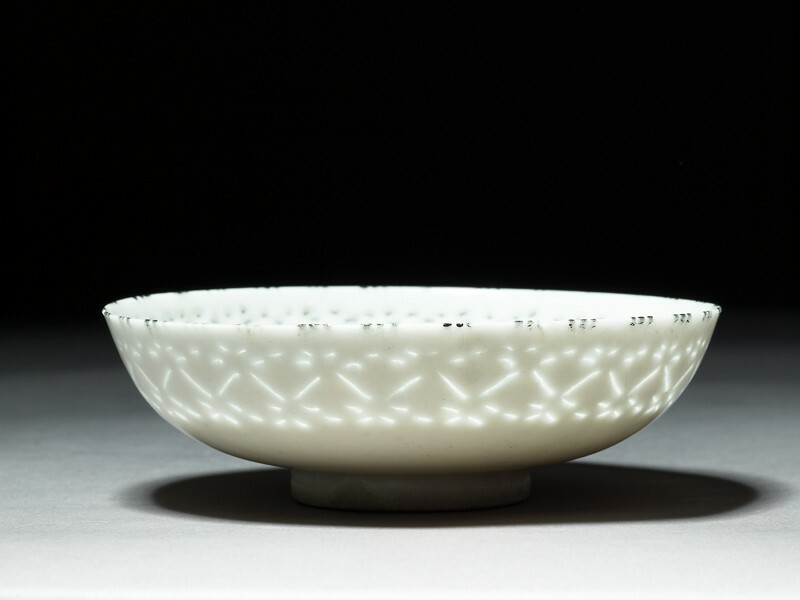 White, translucent pottery with incised or pierced decoration made in Iran in the 1600s and 1700s is traditionally known as Gombroon ware, from the old European name of the major trading port on the southern coast of Iran (now Bandar Abbas).